A conference Mobile Application allows you to interact with others, get instant info on schedule, sessions, speakers and topics. Take part in polls, ask questions to speakers, schedule feedback and receive notifications directly from the App. PRIZE GAME >>> Stand a chance of winning great prize – a weekend in Opatija. 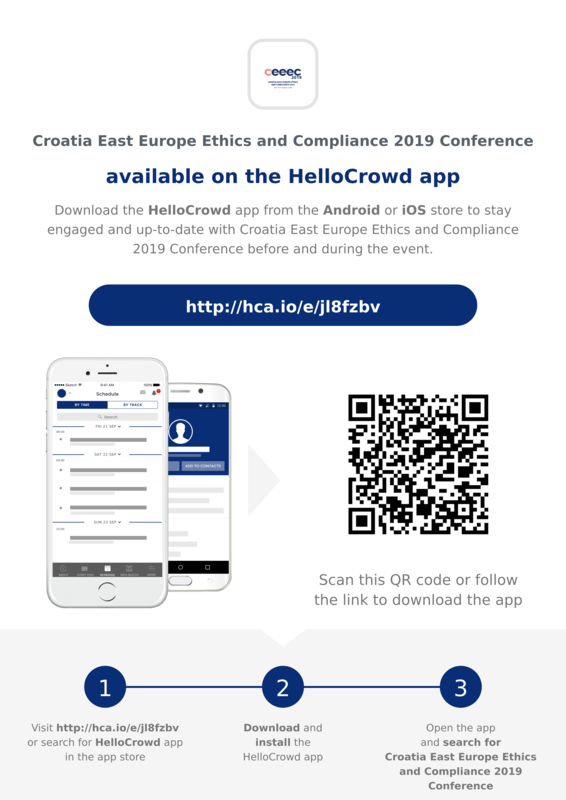 Discover and scan QR Codes around CEEEC 2019 to reveal portions of the ethics phrase until the entire phrase is displayed in your App. So download the App, learn, share and network!